Recent press coverage has focused heavily on Offsite Construction providing the answer in a number of key sectors, due to the speed and efficiency of modular construction. Premier Modular has been delivering award winning offsite and volumetric solutions for more than 60 years and prides itself on its ability to provide the highest quality buildings, offering a skilled and knowledgeable design and build service. Part of a large multi-national industrial group, Waco International, Premier has the strong financial backing provided by the Group, which has enabled it to build a substantial modular hire fleet. This coupled with the manufacturing capacity offered by a 22 acre site means that Premier is ideally suited to deliver quality buildings for both hire and sale throughout the UK, no matter how large or small. Premier’s ability to deliver a modular solution on a massive scale is evidenced by the series of modular complexes they have provided at Hinkley Point C in Somerset. The buildings deliver 38,000 sqm of offices and welfare facilities to house all the management and technical personnel required for the construction phase of the new nuclear power station. The HPC requirement for the best temporary welfare and office facilities in the UK, delivered within a strict timescale, was a challenge Premier met and achieved and resulted in their being appointed to deliver an additional modular complex for the critically important infrastructure project. Developing such strong client relationships is at the core of Premier’s approach and their recent partnership with ISG Construction has delivered 8 school facilities in 12 months as part of Manchester City Council’s Education Basic Needs framework. The first school, St Margaret’s CofE Primary School, was chosen by Manchester City Council to be their first pilot for delivering a project to BIM Level 2, including their first Asset Information Model. The 775m2 2-storey building provided new nursery facilities and 3 reception classrooms, enabling the school to expand and accommodate an additional form of entry. This scheme was named as the winner of the Digital Construction category in the North West Regional Construction Awards for 2018, as well as receiving Highly Commended in the Integration and Collaborative Working category. Standardisation in construction delivery produces better end product quality, reduction in manufacturing costs, reduced design costs with less waste and can be achieved through the use of standardised components, prefabricated panels and modular construction. This volumetric approach to construction was used in the award winning construction of a 5 storey student accommodation block, The Foundry, in Newcastle City Centre, delivered in partnership with Sir Robert McAlpine. 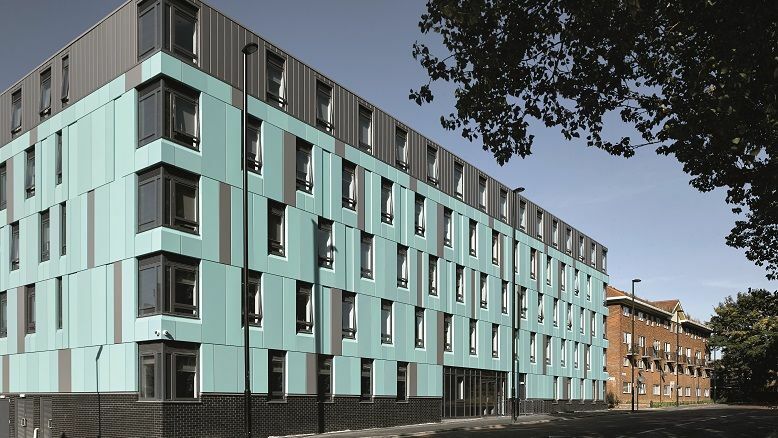 This block consisted of a mixture of 54 studio flats, 105 ensuite bedrooms and 2 accessible rooms, associated living spaces, kitchens and study areas. The speed of delivery for this project gave the investors a whole year of additional return and was a deciding factor in the project being named as the Project of the Year (up to £10m) at the Construction News Awards. This approach has also been used to great effect in other residential projects and following their appointment to the CHIC BuildSmart framework, Premier have worked closely with their framework partners to develop standardised housing products, delivered within an EU-compliant framework – the perfect solution to the critically important delivery of housing stock highlighted frequently in the news. The standard designs, coupled with CHIC’s existing proven materials supply chain, has resulted in a more cost efficient, quality product, with speed of delivery. Whilst the cost benefits of this scheme have been delivered by the development of a standardised product, flexibility is still available to procure bespoke designs and solutions where required. Premier’s forward thinking attitude means that they are always looking for product improvements and innovation; Premier believes that the fire resistance of buildings is very important, whether for a temporary or permanent building. At Premier we feel it is not good enough to provide our clients with an assumption that our buildings are ‘fire proof’ based on various codes and data sheets. When developing our latest product, as part of our quality control during development, we ensured the product went through real life fire tests and received certification for this. In a market where shortages exist, building standards are extremely high and sustainability is of growing importance, standardisation and offsite construction as delivered by Premier has to be a big part of the solution.